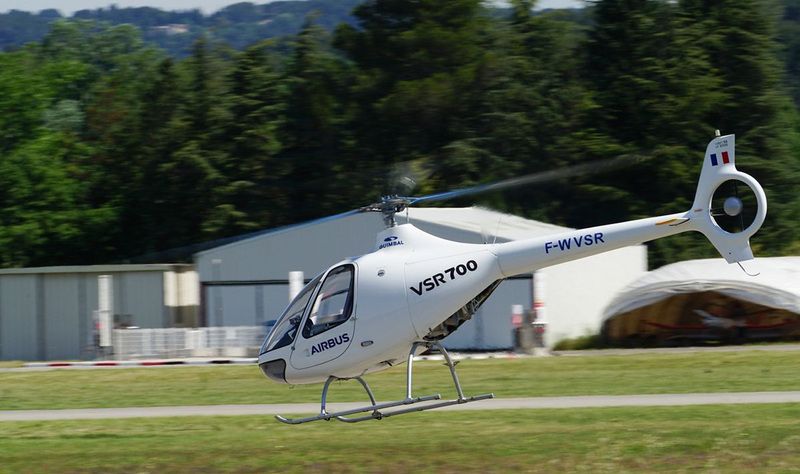 Airbus Helicopters recently started autonomous flight trials of the optionally piloted VSR700 demonstrator in anticipation of the first flight of the actual VSR700 prototype in 2018. The VSR700 is based on the Helicopteres Guimbal Cabri G2 and is intended to be a rotary-wing tactical unmanned aerial vehicle. “Passing this first step of autonomous flights with a safety pilot onboard allows us to validate the integration of Airbus Helicopters’ flight control system with the aerial vehicle and its specific engine installation,” said Helicopteres Guimbal president and CEO Bruno Guimbal. This phase of flight trials with a safety pilot will focus on refining the automatic flight control system aboard the VSR700, eventually leading to autonomous flights without a safety pilot. The vehicle is reportedly able to autonomously take off, hover and perform stabilized flight maneuvers. The VSR will be fitted with a diesel engine and have a maximum endurance in excess of 10 hours, depending on mission and equipment package. Meanwhile, sea trials of a manned Cabri G2 have recently taken place with the support of a French Navy air defense frigate to assess its flight envelope for shipborne operations.